Our favorite anti-hero is back in May! Red-dy yourselves as 20th Century Fox’s latest trailer reveals what’s more in store in the hugely anticipated “Deadpool 2”. Starring Ryan Reynolds as the returning titular character, “Deadpool 2” trailer explodes with fun, laughs and more violence. Get treated to familiar and new characters, friends and fiends of Wade Wilson a.k.a. 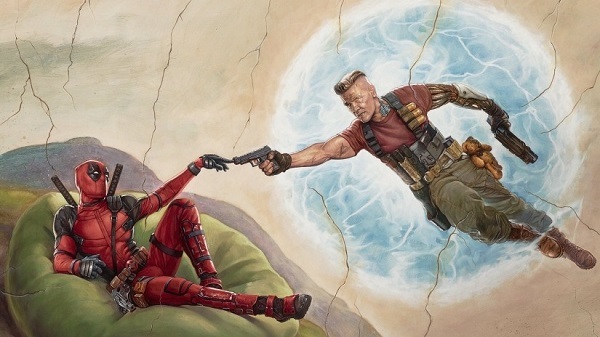 Deadpool in a series of non-stop, high-octane action. In this action-packed sequel, Deadpool a.k.a. the Merc with the Mouth, assembles his own motley bunch to help him fight enemies and save the world against the wrath of the dreadful Cable, played by Josh Brolin. Directed by David Leitch, a filmmaker, stuntman and stunt coordinator, “Deadpool 2” also stars Morena Baccarin, Brianna Hildebrand, T.J. Miller, Stefan Kapicic, Karan Soni, Zazie Beetz and Julian Denison. Mark your calendars on May 16, the day that “Deadpool 2” opens in Philippine cinemas nationwide. For the latest updates, follow the 20th CenturyFox (PH) Facebook page. Who are the citizens of Citizen Jake?